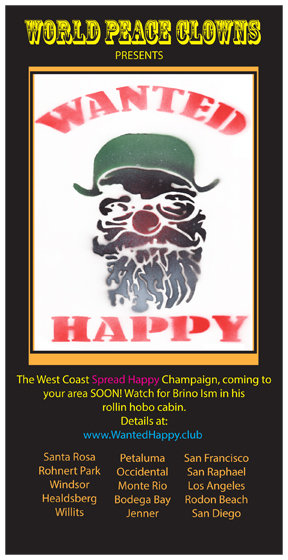 Keep checking back to see my blog documenting the travel of Brino as he spreads happy acroos the land. 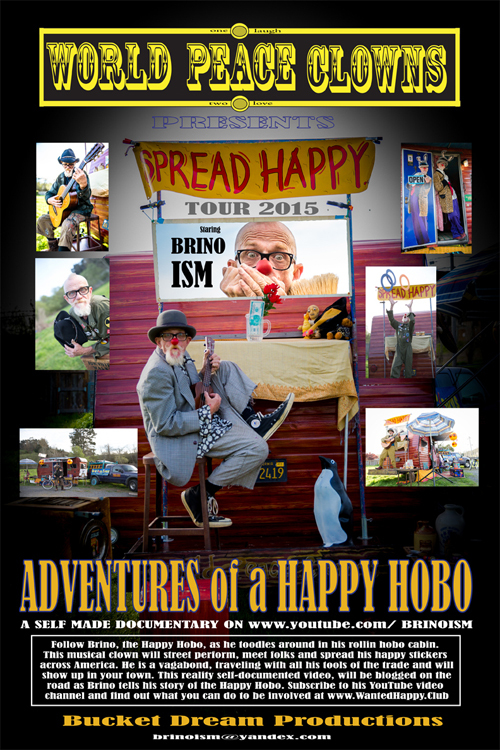 Subscribe to YouTube channel, BrinoIsm. 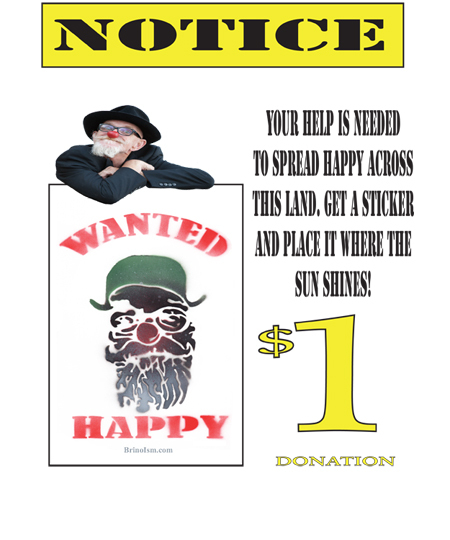 Be sure to share with your friends and if you can donate to the cause and get some stickers...you can email me at this site , please put "Wanted Happy" in the subject line.